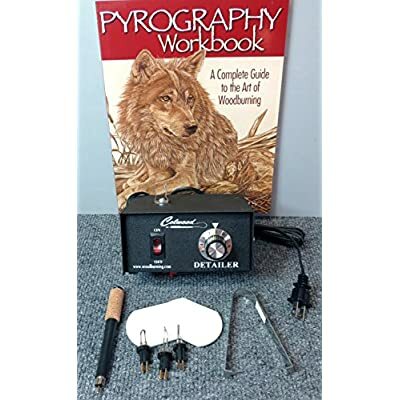 EASY DIY PROJECTS USING WOOD AND LEATHER – This incredible woodburner or Pyrography Pen Tool allows you to do a wide variety of DIY projects using Wood or Leather – be it writing any text or creating a logo design on the wood or leather, you can do it all using TRUart Pyrography Pen. 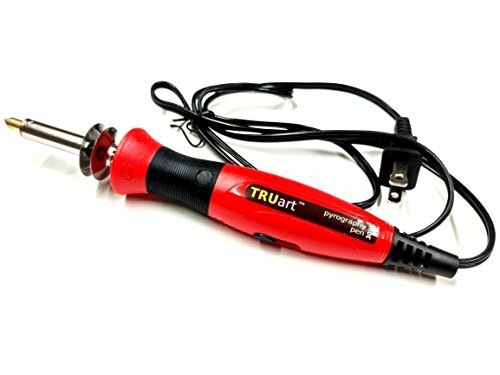 THE DUAL POWER MODE, BEST-IN-CLASS WOODBURNING PEN – TRUart Superior-quality wood burning tool features stainless steel barrel integrated with a heat and impact resistant rubber handle to ensure comfort and safety. 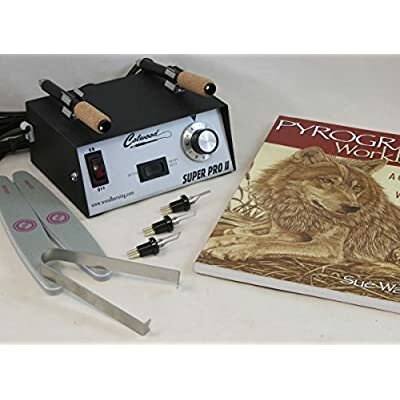 Unlike many irons or woodburning pens available in the market, this 30-Watt Pyrography Pen heats quickly and retains the heat better. The lightweight Pen is easy to handle and is perfect for precise results. 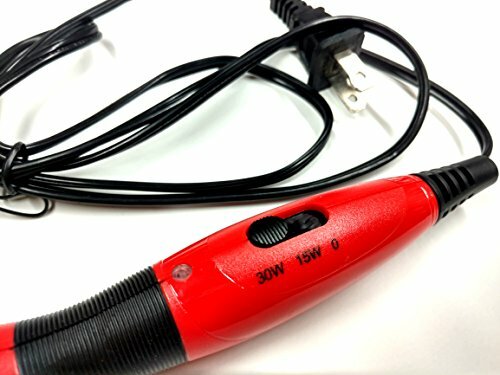 You can switch power to 15 watt for using it with leather. EASE OF USE – The tips can be very easily interchanged once they have been cooled and the switch on the handle can be used to either turn off the power, or to switch between 15W and 30W power levels. 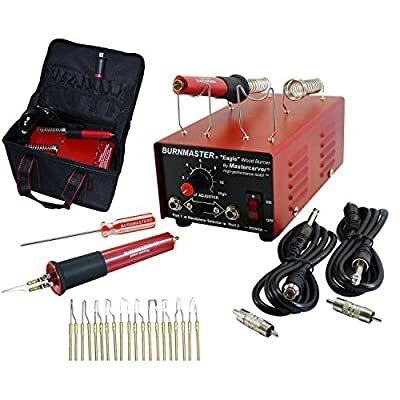 Are you looking for a perfect woodburning tool or a Pyrography Pen for pursuing your hobbies or giving a new touch to your art? Are you looking for a mini short barrel iron that is easy to maneuver, comfortable to hold and wouldn’t result in cramps during use? Well, look no further because we have a perfect woodburning tool that’s ideal for pursuing your hobbies and crafts. TRUart Pyrography Pen is easy to handle and use. 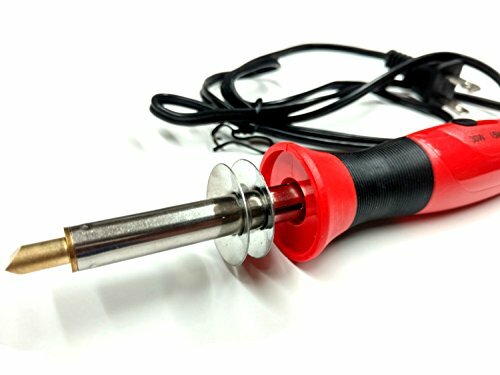 The wide variety of attachment tips available on the market (for burning, cutting, branding, etc.) give you artistic freedom to produce your perfect piece of work. This woodburning pen is a great tool for a hobbyist who work on a variety of crafts from woodwork to leather embossing. Using this incredible tool you can give form to your artistic ideas. Even if you are a novice wood burner, you will find TRUart easy to use. 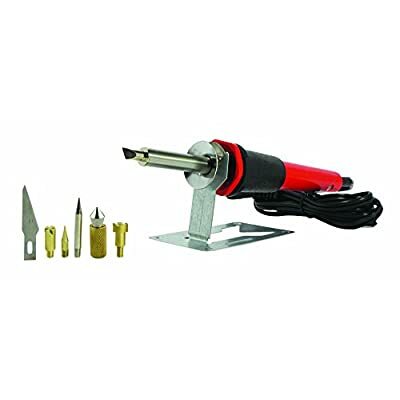 It quickly heats up and gets sufficiently hot to easily draw on a variety of woods and leather. ORDER NOW and get TRUart Woodburning or Pyrography Pen Kit for taking your art and craft to all new heights. 100% RISK-FREE SATISFACTION GUARANTEE – We offer you 30-Days 100% Risk-Free Satisfaction Guarantee to let you buy with confidence; no questions asked. However, we are quite sure that you will love the way it will make it easy to create professional quality crafts using this Pyrography Pen.